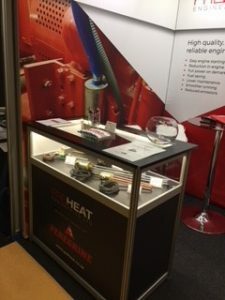 Preheat exhibited at this years Critical Power & De-Centralised Energy for the first time and had the most enjoyable two days. 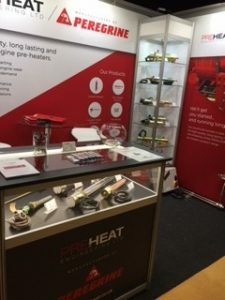 Several of our existing customers visited our stand where they were able to get excited with Simon about their up and coming projects, and learn what new products Preheat has and is developing. 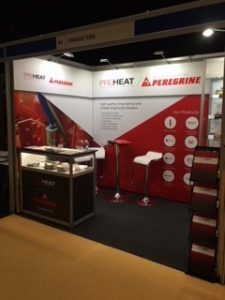 Customers who had used Peregrine in the past and loved the product were excited to reunite with us and learn of our new ownership and expansion. All saying that Peregrine products have always been of such high quality and so reliable. 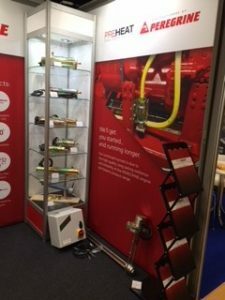 We were pleased to meet so many new customers and be able to assist them with their enquiries and current projects. 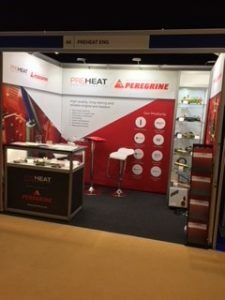 We are looking forward to working with them and welcome them to be part of Preheat’s future growing customer base. We ran a competition over the two days for all who were at the exhibition and the exhibitors. The prize was a beautiful champagne picnic hamper. The lucky winner was Green Frog. Thank you to the organisers and every one that helped make the two days so enjoyable and successful.